A Dog in School – How do we plan for that? Speaking at a recent conference about the need to improve young people’s sense of wellbeing, Sir Anthony Seldon was quoted as saying ‘Every school should have a dog or another pet to reduce stress in the classroom’ and that it is ‘a powerfully cost-effective way of helping children feel more secure at schools’. Sir Anthony has been a longstanding advocate of the need for schools and universities to pay much more attention to mental health and the emotional wellbeing of pupils. There is documented evidence that the presence of animals in schools can have a positive effect on the wellbeing of young people. However it is vital to remember that any programme involving animals needs careful consideration and planning to ensure it is mutually beneficially to all parties. The Society for Companion Animal Studies (SCAS) has considerable expertise in this area and addresses the needs of the animal, as well as the people involved, in its Code of Practice; a revised edition of which will be available very shortly. 1. The dog must be carefully assessed for health, temperament and behaviour. 2. Its welfare needs must be understood and met in full. 3. 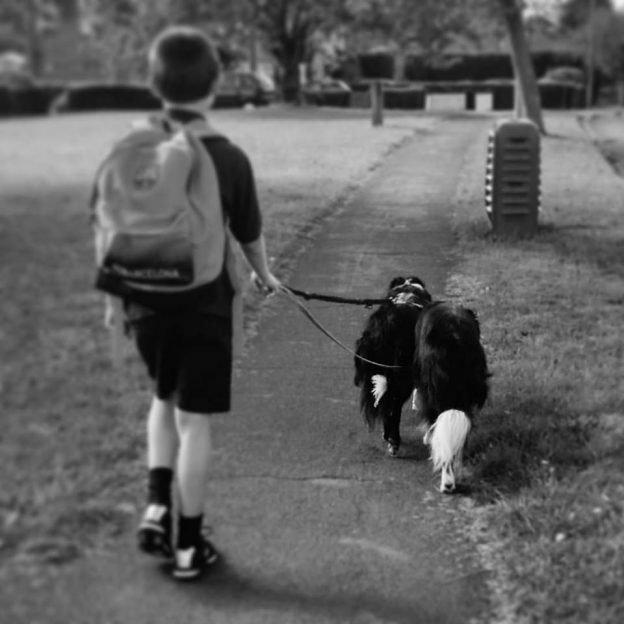 The interactions with children, and adults, apart from the handler, need to be time limited. 4. The dogs always need the option of withdrawing from activities. 5. The dogs’ welfare and behaviour after placement must be repeatedly monitored by a veterinarian and behaviourist. Further advice is available in the SCAS Code of Practice in Animal Assisted Interactions. This entry was posted in In the news on March 28, 2019 by SCAS.